This entry was posted in Cider and tagged angry orchard, seasonal, summer honey. Bookmark the permalink. 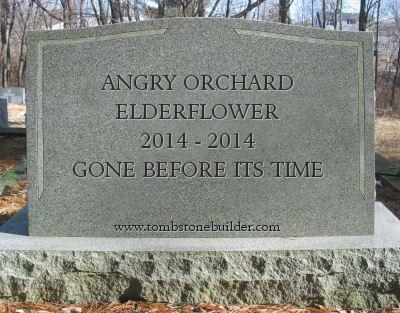 I too was sad, as the Elderflower was pretty good for being commercial cider! Angry Orchard Summer Honey was quite disappointing, and was too fake & syrupy tasting for my liking. My favorite cider with honey so far is Finnriver Honey Meadow, their Spring botanical release. I just tried it on Friday. It also has chamomile & lemon balm, and is only semi-sweet. Woodchuck had an Out on a Limb release (Oopsy Daisy) with honey that was pretty good too, and also had chamomile, but was quite sweet.